I am so excited about Your Pie Pizza in Frisco, Texas! This restaurant is right in my neighborhood and I plan on visiting often. If you're a fan of quick and delicious hand-tossed pizza then keep on reading! The restaurant's ordering system is pretty easy. 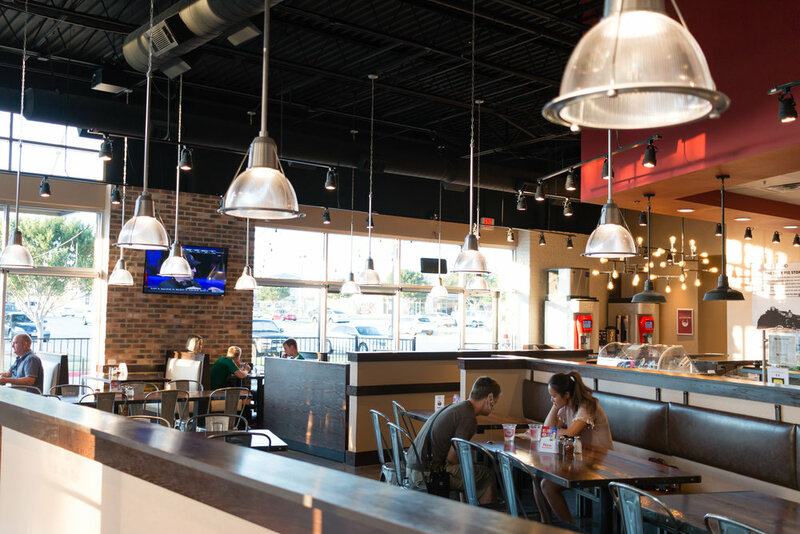 You simply walk up to the line and let the service staff know which type of pizza or item from the menu you'd like. You can custom build your own pizza with a plethora of delicious toppings or select from an existing menu item. For my visit, I decided to go with The Peach Prosciutto pie. At first, I was little nervous about eating a pizza with peaches, but this pizza is delicious! It features olive oil, ricotta, mozzarella, parmesan cheese, thinly sliced prosciutto, fresh peaches, chopped basil, and is drizzled with a house made Honey-Balsamic Glaze. I seriously have no idea what I'll do in September since this pizza is a seasonal offering and only available from May-August. I also tried the Pesto Turkey Panini which was fantastic. It comes with basil pesto, provolone, spinach, and turkey. The restaurant also has a great bar on tap if you'd like to have a drink with your meal. There's also plenty of comfortable available seating. The service is extremely fast, and my meal was brought to me within 10 minutes after ordering. Lastly, don't forget to order some of Your Pie's fantastic gelato before you leave. It's super tasty and affordable at only $1.99 for 1 scoop and $2.99 for 2 scoops! I ordered two scoops of the seasonal Strawberry Balsamic and I couldn't eat it all by myself. Have you visited Your Pie? Would you be down to try the Peach Prosciutto pizza? ***Disclosure*** My visit was hosted by Your Pie Pizza but all opinions are my own. The food is absolutely fantastic!